GARDENA — On Saturday, Feb. 6, at 1 p.m., the Okinawa Association of America (OAA) in Gardena will host a special event focusing on Lunar New Year traditions in Okinawa. A Skype video lecture will be presented by Eric Wada from Hawaii. He is co-founder of Ukwanshin Kabudan, a non-profit organization specializing in traditional Ryukyuan culture and performing arts. RSVP is required due to limited seating and parking. Topics will include traditional practices and rituals, Okinawa’s relationship with the lunar calendar and feng shui, the significance of shishimai (lion dance), plus more. 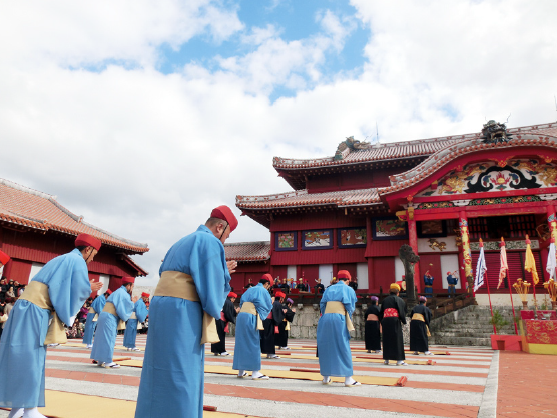 The lecture will be bookended with live performances of traditional Okinawan songs and dances that are associated with New Year’s celebrations. English translations of the lyrics will be provided. This event is part of an ongoing series of educational programs at the OAA. Admission is free for current OAA members and $5 for non-members. The OAA is located at 16500 S. Western Ave. in Gardena. RSVP to [email protected] or (310) 532-1929.